Some may profess the priesthood of all believers, a doctrine derived from the First Epistle of Peter. They include those with evangelical, holiness, liberal, and traditional Quaker understandings of Christianity. There are also Nontheist Quakers whose spiritual practice is not reliant on the existence of gods. To differing extents, the different movements that make up the Religious Society of Friends/Friends Church avoid creeds and hierarchical structures. In 2007, there were about 359,000 adult Quakers worldwide. In 2012, there were 377,055 adult Quakers, with 52% in Africa. Some Friends immigrated to what is now the Northeastern region of the United States in the early 1680s in search of economic opportunities and a more tolerant environment in which to build communities of "holy conversation". They were able to establish thriving communities in the Delaware Valley, although they continued to experience persecution in some areas, such as New England. 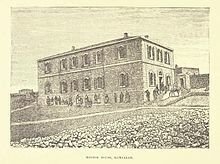 The three colonies that tolerated Quakers at this time were West Jersey, Rhode Island, and Pennsylvania, where Quakers established themselves politically. In Rhode Island, 36 governors in the first 100 years were Quakers. West Jersey and Pennsylvania were established by affluent Quaker William Penn in 1676 and 1682 respectively, with Pennsylvania as an American commonwealth run under Quaker principles. William Penn signed a peace treaty with Tammany, leader of the Delaware tribe, and other treaties followed between Quakers and Native Americans. This peace endured almost a century, until the Penn's Creek Massacre of 1755. Early colonial Quakers also established communities and meeting houses in North Carolina and Maryland, after fleeing persecution by the Anglican Church in Virginia. Some Quakers in North America and Great Britain became well known for their involvement in the abolition of slavery. But until the American Revolution, it was fairly common for Friends in British America to own slaves. During the early to mid-1700s, disquiet about this practice arose among Friends, best exemplified by the testimonies of Anthony Benezet and John Woolman, and this resulted in an abolition movement among Friends. By the time of the American Revolution few Friends owned slaves. At the end of the war in 1783, Yarnall family members along with fellow Meeting House Friends petitioned the Continental Congress to abolish slavery. This petition preceded the 13th Amendment in 1865 by nearly eighty years. In 1790, the Society of Friends petitioned the United States Congress as the first organisation to take a collective stand against slavery and the slave trade. One example of a reversal in sentiment about slavery took place in the life of Moses Brown, one of four Rhode Island brothers who, in 1764, organised and funded the tragic and fateful voyage of the slave ship Sally. Moses Brown broke away from his three brothers, became an abolitionist, and converted to Christian Quakerism. During the 19th century, Quakers such as Levi Coffin played a major role in helping enslaved people escape through the Underground Railroad. Quaker Paul Cuffee, a free black sea captain and businessman, was active in the abolitionist and resettlement movement in the early part of that century. The theological beliefs of Quaker yearly meetings vary considerably. Tolerance of dissent widely varies among yearly meetings. Most Friends believe in continuing revelation, the belief that truth is continuously revealed directly to individuals from God. 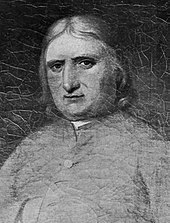 George Fox, an "early Friend", described it as "Christ has come to teach His people Himself." Friends often focus on trying to hear God. As Isaac Penington wrote in 1670, "It is not enough to hear of Christ, or read of Christ, but this is the thing—to feel him to be my root, my life, and my foundation..." Quakers reject the idea of priests, believing in the priesthood of all believers. Some Friends express their concept of God using various phrases, including the inner light, inward light of Christ, or Holy Spirit. Evangelical Friends regard Jesus Christ as their personal Lord and Saviour, and have similar religious beliefs to other evangelical Christians. They believe in, and hold a high regard for, the penal substitution of the atonement of Christ on the Cross at Calvary, biblical infallibility, and the need for every person to personally experience a relationship with God. They believe that the purpose of the Evangelical Friends Church is to evangelise the unsaved people of the world, to spiritually transform them through God's love and through social service to others. Evangelical Friends regard the Bible as the infallible and self-authenticating Word of God. The statement of faith of Evangelical Friends International is comparable to the statement of faith of other Evangelical churches. Evangelical Friends who are members of Evangelical Friends International are mainly located in the U.S., Central America, and Asia. Beginning in the 1880s, some Friends began using outward sacraments in their Sunday services, first in Evangelical Friends Church–Eastern Region (then known as Ohio Yearly Meeting [Damascus]). Friends Church–Southwest Region has also approved the practice of using the outward sacraments in their Sunday services. In places where Evangelical Friends are engaged in missionary work, such as in Africa, Latin America, and Asia, adult baptism by immersion in water is carried out. This practice differs from most other Quaker branches of the Religious Society of Friends. As of 2014, EFCI claims to represent more than 140,000 Friends, roughly 39% of the total number of Friends worldwide. ^ a b c d e f g h i j k l m "Finding Quakers Around the World" (PDF). Friends World Committee for Consultation. Retrieved 4 July 2016. ^ "BBC – Religions – Christianity: Quakers". Retrieved 13 June 2017. ^ Northwest Yearly Meeting Historical Statement Archived 31 January 2008 at the Wayback Machine. ^ Rocky Mountain Yearly Meeting of the Friends Church (1997) "The Faith and Practice Archived 27 June 2012 at the Wayback Machine." By this time, the word “thou” in daily speech was associated almost exclusively with Quakers, though it was common enough 50 years earlier (and still common in the North of England). They used this familiar form as a mark of plainness in speech, using “thou” for an individual instead of the originally more formal “you”. In Shakespearean English thou was typically reserved for children, servants, spouses, and dear friends. By "thou"ing everyone, Quakers were asserting universal equality. This form of address, naturally, was a source of irritation and/or ridicule for most non-Quakers. The annotations about swords on the March 21st 1560 entry bring to mind a famous Quaker anecdote, perhaps apocryphal. 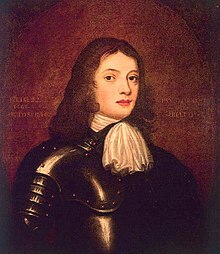 William Penn, who had joined the early Quaker movement, was perturbed in his mind about wearing the kind of dress sword that was de rigeur for courtiers, since it contradicted the Peace Testimony. Penn asked the advice of George Fox, founder of the Quaker movement, about this. Fox answered, "I advise thee to wear it as long as thou canst." Not long after this they met again. Observing that William had no sword, George said to him, "William, where is thy sword?" "Oh," said he, "I have taken thy advice; I wore it as long as I could." Ranter, or Raunter activity may date from the mid-1640. There were laws passed to suppress these Rebels(Heritics). Contempories of the period often compared the Ranters and the Quakers as being cut from the same bolt of cloth. 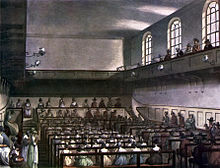 The Quakers were generally considered to be of slightly better quality.They both shared many of the same basic values. Early Quakers before 1660 engaged in radical theology of change. Quakers as seen by John Evelyn 9 July 1656 He wrote"At Ipswich I had the curiosty to visite some Quakers there in Prison, a new Phanatic sect of dangerous Principles, the(y) shew no respect to any man, magistrate, or other & seeme a melancholy proud sort of people, & exceedingly ignorant: one of these was said to have fasted 20 daies, but another endeavourung to do like perish'd the 10th, when he could have eaten, but could not:".. I think Evelyn's opinion of the Quakers as showing 'no respect to any man, magistrate, or other & seeme a melancholy proud sort of people, & exceedingly ignorant' stems from their refusal to doff their hat for anybody and their insistence on using the familiar 'thou' to everybody. It may also be related to the equality of speaking in meeting between all members of the meeting and the lack of a clergy, and possibly also their refusal to swear oaths. In the 11th & 12th months of 1660 he was among 229 West Riding Quakers imprisoned for refusing to take the oath of allegiance. In 12th month 1661, still a resident of Whixley, he was imprisoned in York Castle for tithes. "... We hope to show that rather than slave labour's existence in Pennsylvania being an anomaly it was, in fact, a vital and planned prerequisite for the Quaker colony's existence and in part, for British economic success of the slave economies of the West Indies. We hope to explode any myths and erroneous beliefs that the Quakers of the 17th and early 18th Centuries were great and fearless champions for equality for all humanity. -- "Jim McNeill, Chair of 'Living Easton' 4th July 1999"
Quakers and Pacifism: "Declaration of 1660"
"In response to this dramatic situation, George Fox and ten other Quaker men met, composed, and issued, on January 21, 1661, what we now call the Declaration of 1660. (In the old calendar, the year ended in March, so January 1661 by our calendar was 1660 at the time.) In a certain sense this was a political and strategic document. 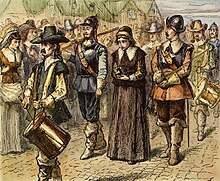 It was intended to convince the king that Quakers did not pose a threat because they did not believe in the use of violence, and to thereby protect Quakers from further persecution. 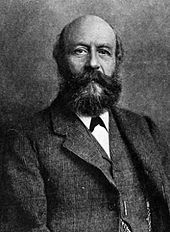 ... their statement appears to have been easily accepted [by other Quakers] and has remained an enduring and distinguishing characteristic of Friends for over 300 years." "Prior to 1660, the Christian Peace Testimony was not an explicit corporate witness among Friends. When it existed at all ... it was a matter of individual decision making. 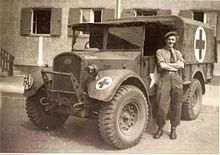 Many Quakers stayed in the army after convincement, and that practice seems not only to have been acceptable but was defended when Quakers were discharged as unreliable soldiers." "[T]he spirit of Christ, which leads us into all Truth, will never move us to fight and war against any man with outward weapons, neither for the kingdom of Christ, nor for the kingdoms of this world." A Petition was presented to this House, by some Quakers; which was commanded to be read. Source: House of Lords Journal Volume 11: 28 May 1661. House of Lords Journal Volume 11, (). Source: Swavesey: Nonconformity. A History of the County of Cambridge and the Isle of Ely: Volume IX, A. P. M. Wright & C. P. Lewis (Editors) (1989). http://www.british-history.ac.uk/report.asp?com... seach the records for all the braying: in full text search or if a name be interesting use full name. He was sent for accordingly; and, being brought to the Bar, keeping on his Hat, the Serjeant, by the Command of the Speaker, took off his Hat; and, being asked, Whether his Name were James Nayler, answered, He is so called: Being asked, How long he hath been called so, answered, Ever since he can remember...."
From: 'House of Commons Journal Volume 7: 6 December 1656', Journal of the House of Commons: volume 7: 1651-1660 (1802), pp. 464-65. URL: http://www.british-history.ac.uk/report.asp?com.... Date accessed: 15 August 2005. It's interesting that Charles intervened several times to order Quaker founder George Fox to be released from prison, and also others at Fox's behest. Unlike Oliver Cromwell, Charles never met Fox personally, despite receiving letters of advice from him. Cromwell too did his best to protect Quakers when possible. Thus it was that a small sect survived to have influence out of all proportion to its numbers, because of Quakers' key role in advancing the industrial revolution. From chocolate to railways, Quakers had a finger in the pie. For example, because the Pease family financed the Stockton-Darlington railway, the "Stephenson gauge" of 4 ft 8½ inches is used on 60% of the world's railways and on all continents except Antarctica.